Latest post Fri, Jul 14 2017 11:21 AM by stefanocps. 16 replies. is there a way to have avid creating the track only for the clip i am working at? i am using the y waveform and i see that the changement in it are applied only when i leave a control bar ...while i am moving it the waveform will not reflect that movement..is that normal? last..is there a way to set to default vaue a parameter i am worling at? i notice that the monitor that should show the "NEXT" clip..is showing the nex only when i am at the first clip. but now..do i have to make the cut all the timeline long manually? If you want the color correction to apply only to the clip you are color correcting, only turn on the video track with the clip on it. If you must have the color correction on a higher track, then you're going to have to add edits to the higher track. It's working that way because you have only the highest track turned on, and there are no more clips on that track. If you want your color correction to be on the top track, then you'll have to add edits like you are doing. 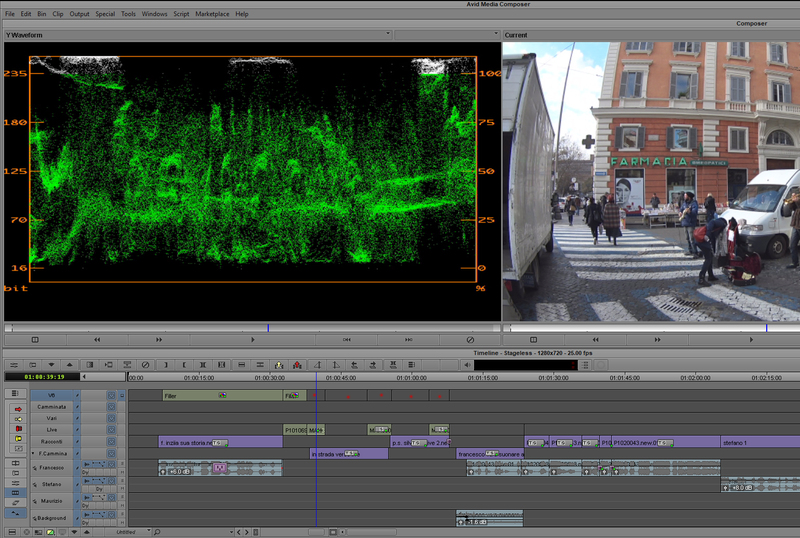 If you only turned on the video track for the clip you are color correcting, both of these problems would be solved. is there a way to set to default vaue a parameter i am worling at? Sorry, I missed that. Yes, that's normal. back to the cc, you think is not of use create an higher track for cc? "only cc effect correction can be applied to filler"
seem i am doing the same thing was doing yesterday with no problem.. If I'm understanding you correctly -- just remove the effect, then start correcting again. In the upper left corner of Symphony's Color Correction window, there is a drop-down menu with choices such as Src Segment, Src Clip Name, Master Clip, . . . , and, at the bottom of that menu, CC Effect. All of these choices except for CC Effect are relational options that will apply your correction to multiple clips at once. Because you are applying your correction to a track but not directly to a clip, the relational choices are not applicable. Select CC Effect, and you should be okay. On the other hand, you may want to consider applying a relational correction directly to a clip instead, because relational correction is a big part of the power of Symphony. is a bit complicated like this..isnt 'it? I know you're trying to use the tools you have available, and nobody probably wants to spend more money if they don't have to, but I just purchased Baselight Edition, and it's pretty fantastic for color correcting within the timeline. Of particular note: it will automatically create edits at each event for you (when you put the correction on an upper layer), and even more importantly, the scopes properly adjust as you're moving the sliders. It's nearly impossible, I find, to use Avid's built-in tools, because the scopes don't change until you've released the controls (as you've discovered). what is baselight edition, another software for cc? is it a "plugin" that works still within media composer? Not in front of a system to double check, but ALT-click should reset a parameter to the default.